Ali Imam held a unique, unchallenged position in Karachi as an artist, teacher, and owner if the prestigious Indus Galley. He spent eleven formative years in London, returning to Pakistan in 1967 to become a key figure in art circles. For four years Imam was the Principal of the Central Institute of Arts and Crafts until 1971, when he set up the Indus Gallery and a new chapter of art began in Karachi. S. Ali Imam set the standards of future art galleries in the country. He was the arbiter of authenticity and the yardstick of excellence. A keen historian and collector of antiquities, from 1967 until his death he was in demand throughout the country as a lecturer of diverse art released issues. His sole aim was to promote artist, create a public awareness and educate art collectors. The material for this book was drawn from conversations between S. Ali Imam and the author, old newspaper articles from the subjectâs collection, and the information from the archives of Mr M. Lutfullah. It traces the subjectâs life from his childhood as the sin if a forest officer, his formative years and his two great passions; Marxism and Art. There is an insight into the London years, the Lahore net forex years, and finally his work in Karachi where he was a key figure in art circles. Imam was a man of strong opinions, which he voiced without fear or favour. He spoke the truth as he saw it, candid and analytical, as was his style, about artists, and art related matters in the country. One may not agree with his views but one cannot help but he moved by his honesty. 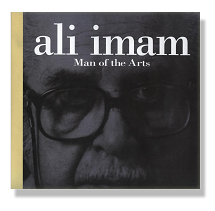 This book is a tribute to Syed Ali Imam and his years of working fir the cause of art in Pakistan. Marjorie Hussain is a well-known art critic who has been engaged for over two decades in promoting Pakistanâs art and culture both in the country and abroad. She has curated and organized art exhibitions both at home and in foreign countries, written a history of art in the subcontinent for the Pacific Asia Museum, Pasadena, USA, traced the history of art in Pakistan for a book on Karachi: Megacity of Our Times (OUP), compiled and edited a book on basher Mirza, and written a book for Oxford University Press: Aspects of Art.